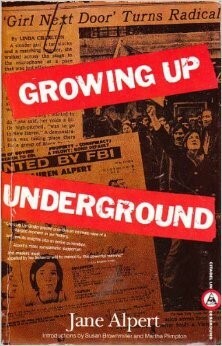 Prior to the forming of this website in 2015, journalists and historians have had only two primary sources to draw from.The most significant is Melville’s girlfriend/co-conspirator Jane Alpert: who detailed their relationship in her 1981 autobiography, Growing Up Underground. The second is the “Profiles” about Melville offered as introductions in Melville’s book of letters, Letters from Attica, published in 1973 after his death. The two “Profiles” are written by John Cohen and by Jane Alpert. 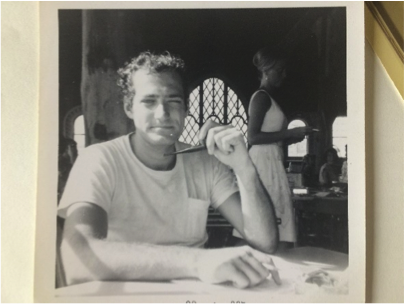 John Cohen became close with Melville during his participation in the Columbia University occupation in 1968 and then through activist groups and finally through correspondence while Melville was in prison. 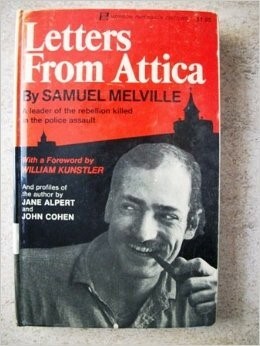 Mr. Cohen was the editor and compiler of Letters from Attica. References in his work to Melville’s early life were supplied by Jane Alpert. Jane Alpert has written thousands of words on Sam Melville and by attrition has become his accidental historian. Alpert wrote that Melville would bomb targets impulsively after they had spats. Whereas, FBI documents show that Melville’s targets had a pattern and were timed against well-known political events. Alpert claimed Melville ignored warnings from co-conspirators about the FBI informant, Demmerle, who testified against them. However, Demmerle was a known personality having been trusted by many in the New Left. He functioned as Abby Hoffman’s body guard during the Chicago Seven incident and at one time was an officer in the Black Panthers. Demmerle was a close associate with at least two other collective members, Sharon Krebs and Robin Palmer. Alpert claims it was Melville’s carelessness in trusting Demmerle that lead to their capture. 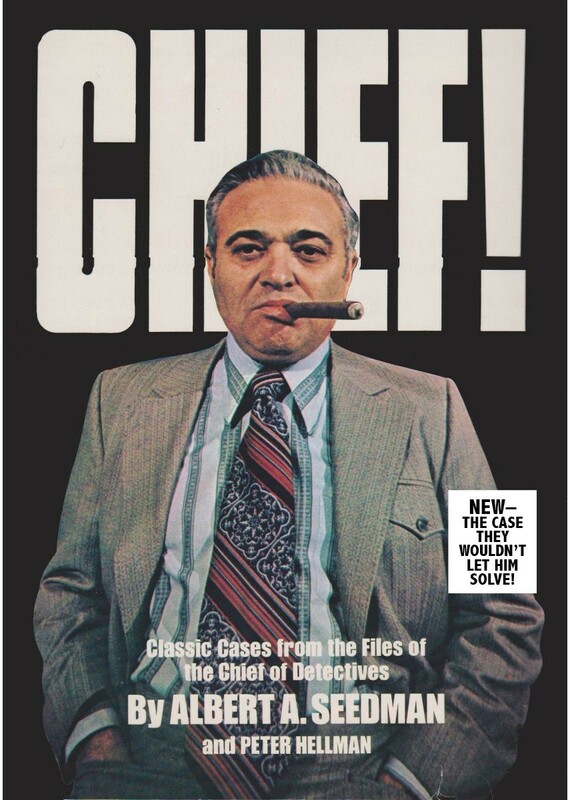 But according to the book, Chief, which details the Melville case from the law enforcement perspective, is was Alpert’s communications and articles published in the newspaper, RAT, where she worked, that tipped authorities. 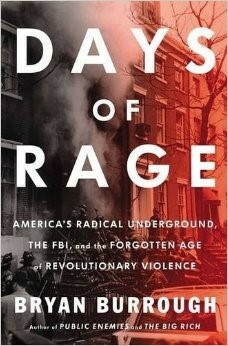 Melville and Demmerle had only met twice and only discussed bombing on one occasion a day before the arrest. Alpert claims to have planned the largest of the bombing campaigns on November 11th (General Moters Building, RCA Building, Chase Manhattan Bank.) However, she conversely claims that Melville was the only one in the group who had the knowledge to assemble an explosive device. FBI documents claimed that only Melville had the engineering background necessary for the placement of the devices so as to do the most amount of damage without inflicting harm to people. Finally, Melville claimed responsibility for all eight bombings attributed to the Collective. It is difficult to tell if Alpert’s loyalties are to a balanced view of history or her feminist politics. When Alpert jumped bail it terminated Melville’s plea bargain resulting indirectly in his death. Many in the New Left blamed Alpert for acting in self interest and betraying the movement’s principles when she turned state’s evidence. Melville’s Wikipedia page is populated with information drawn from Alpert and Cohen. The publications below, while excellent texts and historically valid suffered this same fate when it came to detailed information on Melville’s personal life and motivations. They are worth referencing with the provisos below. 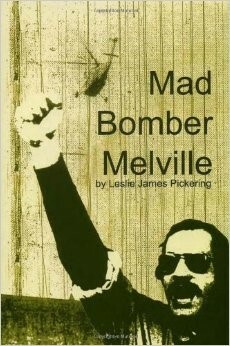 The Mad Bomber, written by Leslie James Pickering, originally published in 2005, is an excellent anthology of the anecdotal information that exists about Melville. Mr. Pickering has researched everything that was available at the time and in a recent 2007 revision added interviews done with personal friends and collages close to the facts surrounding bombings in the East Village and Melville’s death at Attica. However, in regard to Melville’s early history Mr. Pickering opted to rely upon prior texts rather than talk to family members. Therefore referencing The Mad Bomber for facts about Melville’s personal life is the same as referencing Alpert or Cohen by proxy. 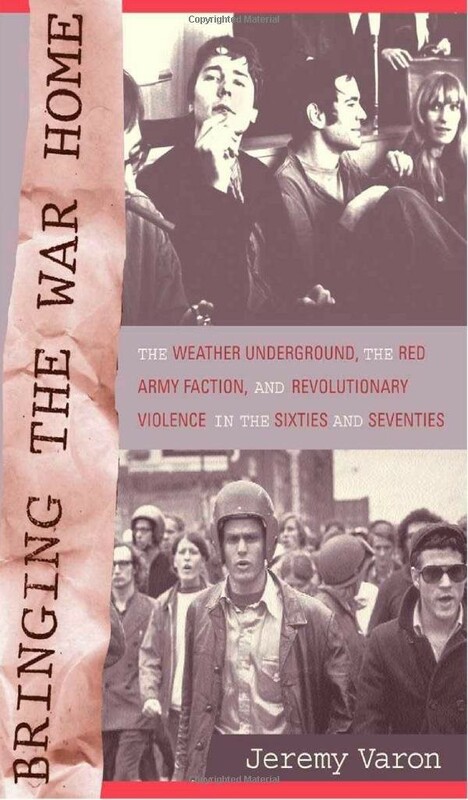 The 2015 release, Days of Rage, by Bryan Burrough, tells the story of the Weather Underground after 1970. The first chapter is a preamble to the development of the radical group and credits Melville with creating a “blueprint for all radical activity in the 70s.” For references, Mr. Burrough draws on Pickering’s The Mad Bomber and Jane Alpert’s, Growing up Underground. Mr. Burrough’s footnotes state that Jane Alpert refused to sit for an interview. His other source for Melville facts is the book, CHIEF. Authored by Peter Hellman, it details the exploits of Police Chief Albert A. Seedman, who headed the police investigation into the New York bombings. Seedman’s account is detailed in regard to NYPD’s investigation, but it underplays the work of the FBI which ultimately furnished Melville’s capture. At one point Seedman takes credit for figuring out that the bomber had to be an engineer. This however is contradicted in another memoir which claims that the engineer profile was put together by the FBI’s Investigative Division. Seedman admits in CHIEF that he had to check with Federal Agents for updates and when to make Melville’s arrest because the informant working the case (George Demmerle) was reporting to the FBI. Seedman’s assumptions about Melville’s personal life and motivations are taken entirely from the New York Times which unfortunately failed to recover anything substantial about Melville’s past in 1969. Their information contradicts Alpert and Cohen. Seedman also offers no connection to Melville and bombings in others cities such as Chicago and Milwaukie. He also omits that of the 300 bombings in New York between 1967-1969, the NYPD’s only bombing arrest was the Melville case furnished by the FBI. Two of Melville’s targets were Federal property. Historian Jeremy Varon’s book on the New Left organizes a compact anthology of the events from various viewpoints. Varon interviewed many forgotten players in the movement including Robin Palmer, who was an unindicted co-conspirator in the Melville Collective and claimed to have witnessed Melville’s death at Attica. Varon’s personal information on Melville’s past drew on the only readily available sources at the time; Alpert’s, Growing Up Underground and John Cohen’s “Profile” in Letters From Attica. Current research has filled in many blanks about Melville’s life and motivations that expands on the work above. As this website evolves it will attempt to give historians and students an accurate timeline of Melville’s acts and contributions to the 1960s social revolution.